This article will help you maintain your beautiful sash windows to the highest quality, with a large selection of local Devon joiners available to assist. The beauty of wooden sash windows is that they are made in such a way that they are easily dismantled for repair. 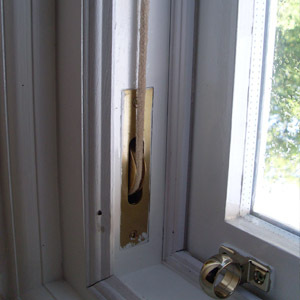 It also means that it is fairly hassle free to be able to replace broken sash cords which can occur across time. Having a window that can easily be repaired by an experienced Devon joiner without too much disruption is always a benefit for any homeowner as it saves you both time and money in the long run. When you choose to engage work with a well-established, reputable and knowledgeable, local Devon joiner your sash wooden windows will be repaired and restored to the highest quality and the best cost effective solution in the long term. For many homeowners, when they encounter issues with their sash windows they think that the only option available to them is to replace them, which is certainly not the case. Unlike modern plastic uPVC windows which are often replaced across time, wooden sash windows can be brought back to life through professional repair and restoration. Through proper maintenance and upkeep some wooden windows have lasted for centuries and so it is important to give your timber sashes the love, care and attention they deserve. Knowledgeable, local joinery experts working throughout the Devon region will be able to work alongside you to establish the best course of action to ensure the windows of your home not only retain their original look and charm but will function as they should for many years to come. Of course, wooden sashes too sometimes encounter issues that need rectifying. The most common issues which arise with timber sash windows include the failure of joints over time, rotting of the wood, sticking of the frames, putty failure, windy draughts and rattling.